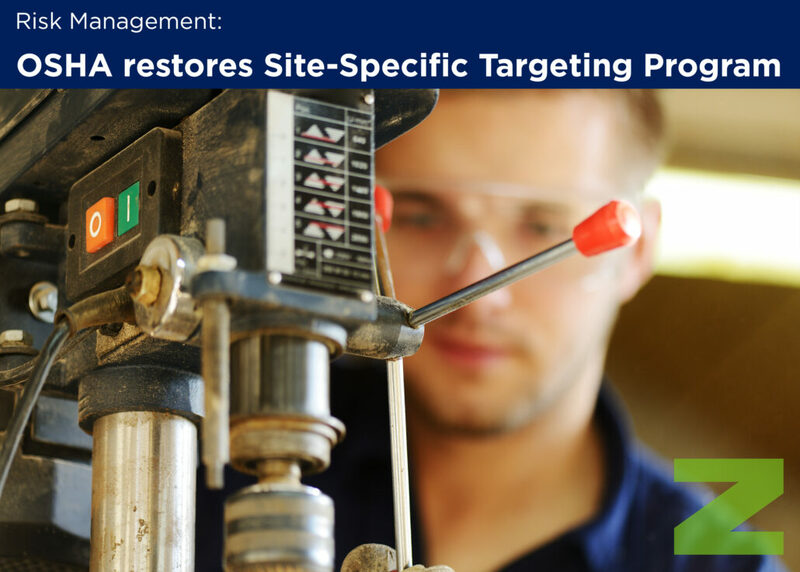 OSHA is reviving its Site-Specific Targeting Program and will be using the initial set of data collected from its electronic record-keeping rule to identify workplaces with high injury and illness rates, the agency recently announced. The SST program directs OSHA enforcement resources to “high injury rate establishments” – based on 2016 data from Form 300A – and those that did not submit the required information. Construction worksites are excluded, according to an agency notice released Oct. 16. OSHA’s Improve Tracking of Workplace Injuries and Illnesses final rule, issued in 2016, required certain covered establishments with 250 or more employees and those with 20 to 249 employees in certain high-hazard industries to electronically submit data from Forms 300, 300A, and 301. The agency has proposed rolling back that rule to require only data from Form 300A. Originally, employers were required to submit 2016 data from Form 300A by Dec. 15, 2017, and 2017 data by July 1. However, an OSHA press release issued Oct. 17 stated that employers still can provide 2017 information to the database. The deadline for 2018 data, and each subsequent year, is March 2. ZORN protects and prepares individuals and businesses from the risks that can interfere with their everyday success. © Copyright 2017 Zorn Insight. All Rights Reserved. Atlanta Web Design by DS1.com.